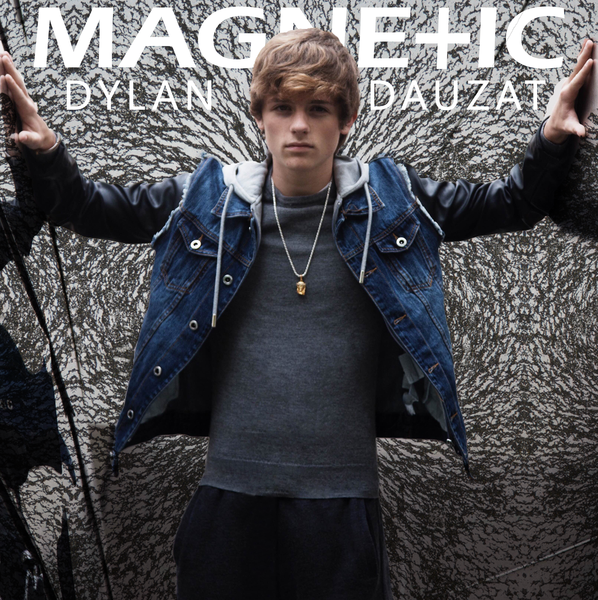 Dylan recently released an EP titled Magnetic which perfectly showcases Dylan’s sound and style in music. “It has a hip hop vibe with pop,” Dylan shares. “With those together, it makes good music.” Not only are the songs super fun and catchy, Dylan worked hard to write lyrics that he and his fans could connect with. “Everything was about what I felt or what I was going through,” he says. Despite Dylan’s busy music career, he also finds the time to reach out to youth about bullying by teaming up with DoSomething.org to use his online presence and popularity to help others. “When you have so much power on the internet, you should always put it to good use so I wanted to try to find some sort of way I could bring a good message to other people and let them know what they could do.” The site allows people to share their experience with bullying in order to inspire and connect with others who are experiencing it as well. With so much going on in his life right now, Dylan has a few more plans up his sleeve. “I have some more music coming out soon within the next few months,” Dylan says. ” I also have some more merchandise coming out.” If you’re an international fan and are worried about missing out on your share of Dylan Dauzat, do not worry! “I also a secret project, an international secret project, and that’s the most I can say.” Dylan says. So much to look forward too! Check out Dylan’s music video for “Mine Tonight”!